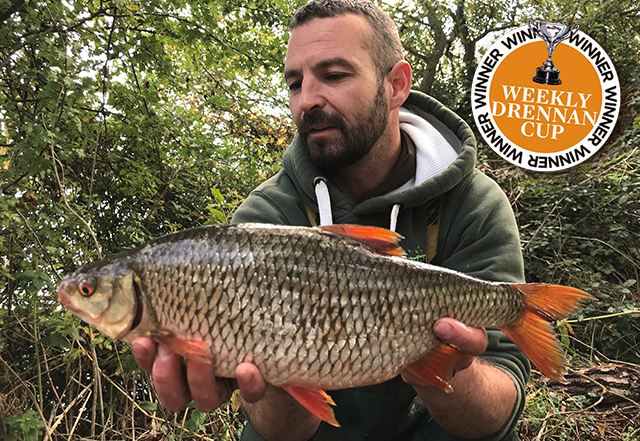 Anglers across the country are now having great success targeting large Stillwaters – not for specimen carp or tench but for giant roach. Topping this week’s captures is a 3lb 8oz redfin which was part of a five-fish haul for Vinnie Durn. Vinnie’s remarkable catch consisted of two other 3lb fish and a pair weighing 2lb 8oz, and were caught from an undisclosed southern gravel pit. All five were caught fishing 60 yards using fake sweet corn to avoid the crayfish. He fished his rigs over a big bed of ground bait, hemp and sweet corn – and all were caught through the night and the following morning on a tightly fished area.